Perhaps even the prime minister, when he’s paying attention, struggles to remember. There is performance and there is packaging — all part of governance and keeping the public informed. The Pakistan Tehreek-i-Insaf (PTI), the ruling party of Prime Minister Imran Khan, has achieved two key milestones in its short life so far. The first was completing 100 days in power, a timeframe it insisted should be used to judge its performance so it would showcase the ‘tsunami of change’ it promised in lieu of being voted into office. The second is completing six months in power — a slightly more reliable barometer of how the government has been able to translate promise into early practice. The government has struggled to offer a convincing media story about its performance on both occasions. In the first instance, when the first 100 days were up, the prime minister did not himself lead the articulation about how his government had fared and left it to his federal information minister to essentially spin ‘too little’ into ‘a lot’ but who would rather have been the Punjab chief minister (as he expressed on TV himself) than the chief spokesperson for a government still finding its feet. Indeed, the prime minister was mostly unseen and unheard in the first 100 days. 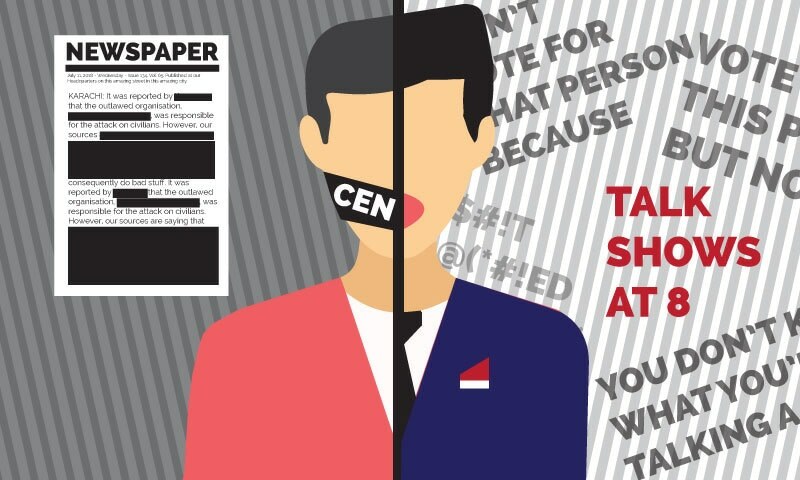 Now just over six months later, little has changed in terms of the government media policy — the ‘corruption and accountability’ sound bite from the pre-election days continues to define the central media message of this government. Sure, there continues to be a lot of noise about promised reforms but no voice that is heard clearly about performance. But then, who speaks for the government of Imran Khan? He certainly seems to be appointing spokesmen — yes, they are all men; no women who have been given an official voice yet — at an astonishing rate of one for every month his party is in power. Instead of ‘what is being said’, the key characteristic of the government’s communications strategy seems to be ‘who is saying it’. There’s Federal Minister for Information and Broadcasting Fawad Chaudhry — he’s certainly the loudest and brashest of them all and easily beats one of his predecessors Sheikh Rashid Ahmed as the most outspoken — often wantonly unpolished and in the shape of cheap jokes — in the federal information ministry’s history. Chaudhry is officially charged with not just being the ministerial-rank spokesman for the federal cabinet — hence articulating governance policies — but also often leads the official narrative on political matters, which technically doesn’t fall in his domain. This is puzzling because the premier has lined up several other aides and partymen to be the official voice of the government and the party on political messaging and engaging with the media. Let’s see — there’s Naeemul Haq who is the Special Assistant to the Prime Minister on Political Affairs, including political communication. These past six months he has been much quieter than his usual self before the 2018 elections when Chaudhry hadn’t yet found his voice as a PTI representative and his was the primary voice of the party. Then there is Iftikhar Durrani who heads the Central Media Department of the ruling party and is officially the prime minister’s Special Assistant on Media. No one knows what he does because he is media shy and is rarely in the public eye. There’s also Nadeem Afzal Chan, an amiable former star of the Pakistan People’s Party but who was promptly appointed the ‘spokesperson for the prime minister’ a few weeks ago after joining the ruling party only last year. Soft-spoken to a fault, he hasn’t been ‘spokespersoning’ for Imran Khan at all since he has joined. There is also Yousaf Baig Mirza, a former director general of the state broadcaster Pakistan Television, appointed as the prime minister’s Special Assistant on Media Affairs. It is not clear what his official brief is — perhaps it is briefing the prime minister on how to handle the media and judging by the chief executive’s actions, it may well be to continue appointing spokesmen of as many shades and hues as possible. The latest to join the ‘spokespersonship bandwagon’ at the federal level is Dr Arsalan Khalid, the Secretary Social Media of PTI, who was in February appointed the Prime Minister's Focal Person on Digital Media. All these gentlemen are officially communications focal persons of the PTI government and speaking either on behalf of the federal cabinet or the prime minister himself. Then there are other ‘prominent’ official spokespersons for the PTI provincial governments. Until recently, it was (now former) Punjab’s Minister for Information and Culture Fayyazul Hassan Chohan, but he had to be kicked out for over-embarrassing the already embarrassing Punjab chief minister and replaced with former Federal Minister for Information and Broadcasting Syed Sumsam Ali Bokhari — who offers a refreshing contrast, but only to the extent that he talks less about himself than his predecessor. In Khyber Pakhtunkhwa there’s Information Minister Shaukat Ali Yousafzai who is, puzzlingly, not much in the media — perhaps to avoid questions about the never-ending and often mind-bending Peshawar Metro. Puzzlingly, there’s a newly re-appointed spokesperson of PTI itself — Omar Sarfraz Cheema. The more the merrier, perhaps? There is also, curiously, the one ‘spokesman’ who got away — analyst Farrukh Saleem who was disowned almost as soon as he was appointed after he admitted on a TV show to the ruling party not having performed as well as it should have. Apart from this, there are two gentlemen who even though not formally charged with being spokesmen of the government, have ended up being recognised only for this purpose. These include Finance Minister Asad Umar, who has picked up the un-endearing habit of speaking about anything and everything except about finance. In fact, about the only finance-related soundbite with any life that he has come to be known for is the blood-curdling warning of “cheekhain niklain gi”. He is referring here to the intended impact of the ‘tsunami of inflation and taxes’ of his policies as the ‘fair price’ of PTI’s promised reforms. Then there is Shaikh Rashid, the railways minister, who is often on-track with his wanton attempts to derail any chances of the leaders of the house and opposition in National Assembly to strike even a modicum of a working relationship. You can predict more accurately when he will fulminate his often foul-mouthed diatribes than when the trains under his watch leave for their destinations. The fact that the persistent refrain of all members of this small army of media spokespersons of the PTI government has been how the country has been plundered by the past governments and how corruption has eaten away at the bright future-that-might-have-been, makes the absence of a narrative around performance all that more conspicuous. And why not — it would be difficult for even the most competent spin doctor to justify how and why in the first six months, defence spending has climbed 22 per cent and development budget trimmed by a whopping 37pc — not to mention increase in energy prices and the devaluation of the rupee by a whopping third. Or that not a single piece of legislation has been enacted by the federal parliament so far. Instead, the media highlights of the PTI phalanx of spokesmen has been their inability to keep up with the number of u-turns in policy proclamations and pre-election pledges. The challenge of keeping such a large number of cooks to stir the media policy pot is also that, inevitably, they step on each other’s toes — the public slanging match between Chaudhry and Haq about who gets to appoint the head of state-owned TV channel was especially unsavoury as it involved key government and ruling party officials trashing each other’s official mandates. Such is the ongoing media circus that even a fellow minister of the ruling coalition from a different party, Sheikh Rashid, can openly boast about how the prime minister is himself not fond of Chaudhry and would rather replace the Jhelum fellow with the even-more-loudmouthed Rawalpindi man. The prime minister’s silence at this, of course, spoke louder than words. Poor Chaudhry spends more time justifying his suitability as information minister than minister the suitability of the government. Then there are the astonishing capacities of some government media managers for becoming news stories themselves. Chohan, especially, for his six months of infamy, had a talent that can’t be spun any other way — he was good at being bad. Witness his trashy misogyny about two stage actresses of Lahore whom he said he would have forced to stop dancing and instead make them perform Haj were he not a minister. Maybe now that he isn’t a minister, he can try his luck. It also takes special talent to offer two separate apologies when he was forced by his party to apologise and he simply forgot to ask for forgiveness of both women. He recently took to the media to dilate on what he said was a diabolical conspiracy to cripple him from performing his official duties as the Punjab government’s primary media manager. His evidence? Animal bones found in his bedroom. No really. The last straw was derogatory remarks he made against Hindus — some stereotype about cows and urine — when speaking about Indian air strikes in Pakistan. That was too much for even Imran Khan. He was summarily sacked. 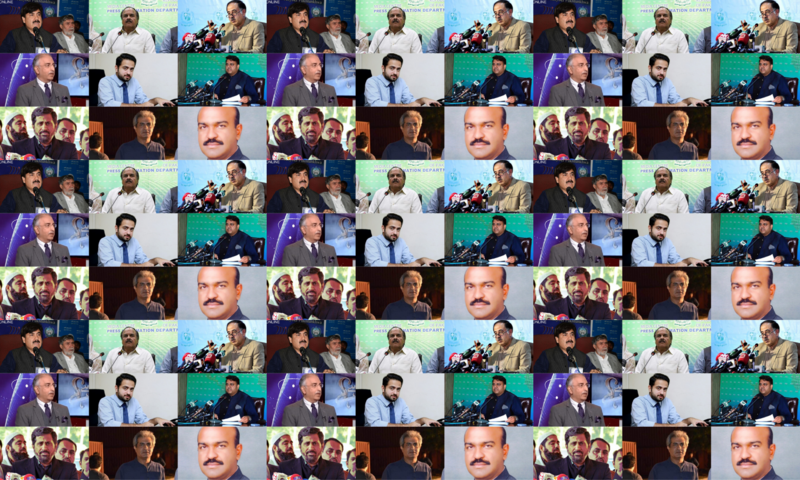 PTI, of course, has always been known for its institutional capacity to manipulate public opinion on social media and command deity-like doting from its army of young supporters, but ironically, the Great PTI Online Spin Machine has been the biggest casualty of the failure of the ruling party’s media managers to sell a believable story about the much-promised good governance of the first six months in power. The tsunami of policy and performance u-turns has enabled pre-election bullied detractors to recover their ground and go on a rampage about PTI’s first six months in power with a much more potent soundbite about lack of performance. 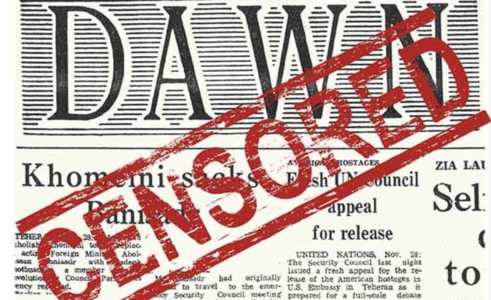 A critical mass of counter-narrative about how PTI is proving to be not just much like its own rivals but perhaps worse has, in part, forced the government to consider clipping free speech online. 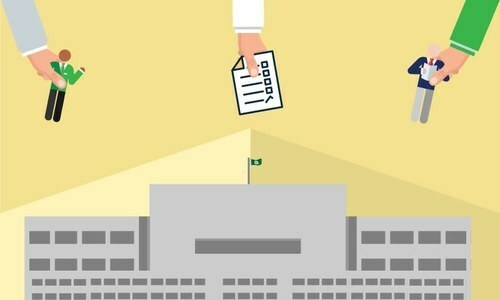 The proposed Pakistan Media Regulatory Authority (PMRA) floated by PTI as the central pillar of their media policy seeks to merge current regulators for print, electronic media, telecom and internet, and is certainly primarily aimed at curbing political and civic activism online, backed by powerful quarters. Yet PTI seems unashamedly enthusiastic at promoting it for its own ends to minimise the final public spaces in Pakistan where one can freely opine about the government’s performance — or lack thereof. For a government to opt for a nuclear communication option — PMRA — after barely 10pc of time into its long slog at meeting people’s expectations over five years can only be seen as the government voting against its own media policies because the ‘spin’ is not good enough. There’s some irony here somewhere but it is destined to be lost, for who among the government’s army of spokesmen think it’s for them or about them? The spokesmen are everywhere but there’s little to speak about. The messengers are many, but the message is missing. In the end, the signature soundbites of the PTI government’s first six months in office are the contradictory battle cries of the prime minister’s “ghabrana nahi hai” and the finance minister’s “cheekhain niklain gi”. Which will prevail? Khan and Umer should sort it out among themselves and then inform us. Not that either soundbite is a legacy to spin around. After reading through half the article i felt that its not worth time read any further. I proofed my point that its not who is saying but what is said, its the substance stupid. These six months for the govt were just like first six munutes for the captain of the Titanic after discovery that its going to hit the isberg. Well written, i hope PTI supporters have Solid counter arguments instead of self made hypothetical theories. This is only a one sided diatribe. While for you "corruption and accountability" may just be a soundbite, for me its the real war we need to fight. Getting rid of these two corrupt families and their cronies in the bureaucracy is the only long term solution. One example of false and biased information is the example of Nadeem Afzal Chan. Unlike what is falsely claimed here, he has been quite vocal in recent days, appearing frequently in TV shows, and as claimed by a more reputed Dawn columnist, meeting IK on daily basis. The prime minister was mostly unseen and unheard in the first 100 days. --- That was normal. The new PM was faced with a steep learning curve. He was learning and did not pretend to know what he didn't know. PTI performance is a mixed bag, and the party is a bit of a circus, but I still believe in IK. I believe he will take us forward. I see total sincerity in him. Besides, if not him then who else do we have anyways?